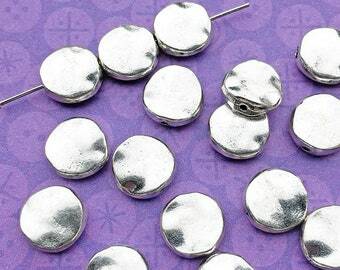 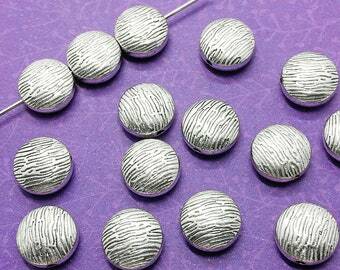 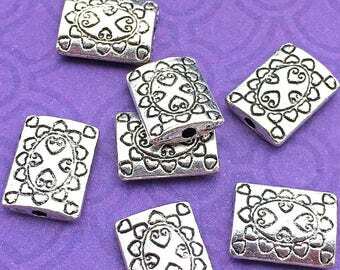 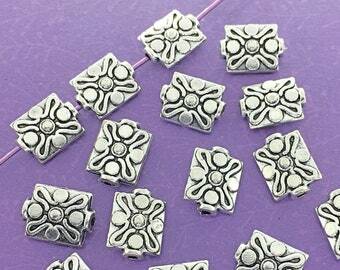 These coin beads are stamped with a spiral on each flat side with a raised tube through the center to accommodate the stringing hole. 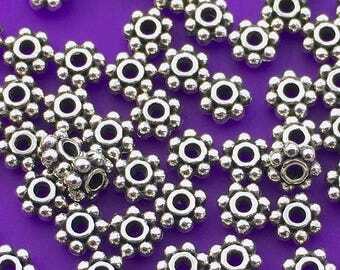 The edges of these beads are relatively thin, measuring in at just 1.4mm, and have smooth edges. 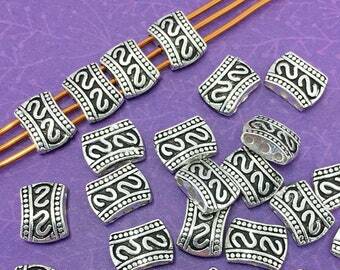 The tube through the center raises the total depth (height?) 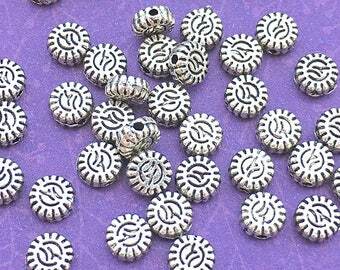 of the bead to about 3.6mm. 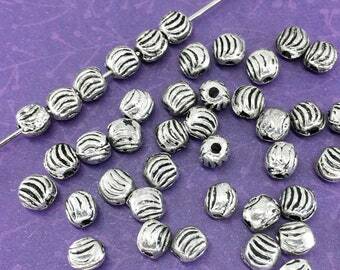 These beads have an antiqued finish that brings out all of the beautiful details! 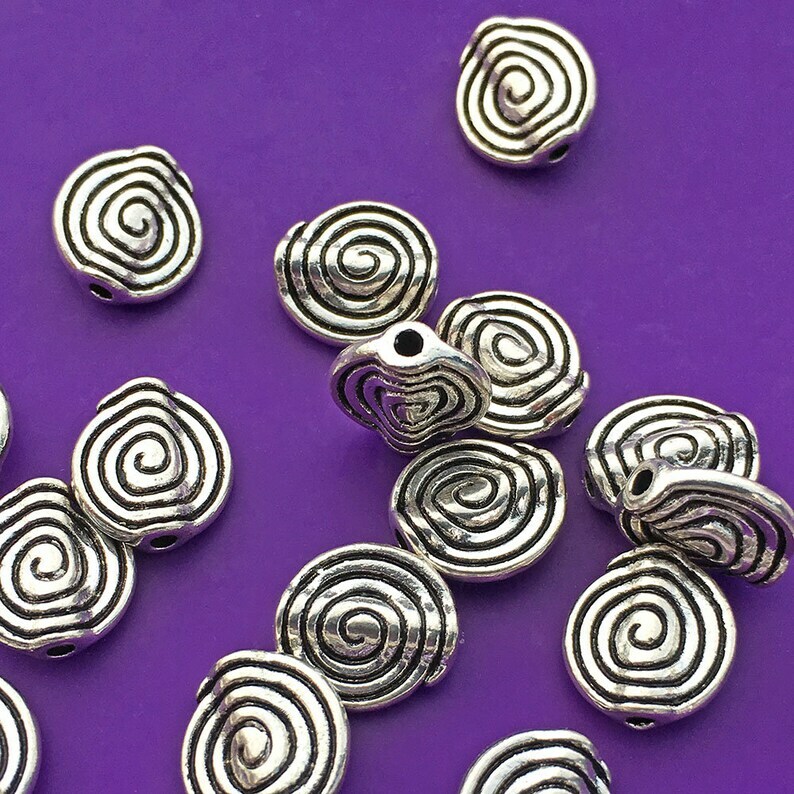 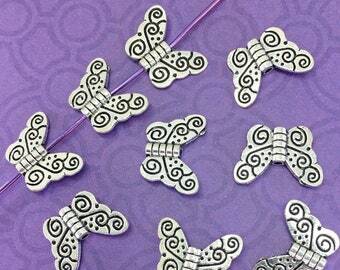 You will receive twenty five (25) of these lovely flat round spiral beads (sold loose not strung).